A blog about librarianship, libraries and role playing games. Wikipedia launched a list of different role-playing games by name. While scrolling through the list, I thought “that is a LOT of games...” And while I would gladly applaud any library that manages to collect all of these books, realities such as budgetary constraints and public interest would keep such a thing possible. 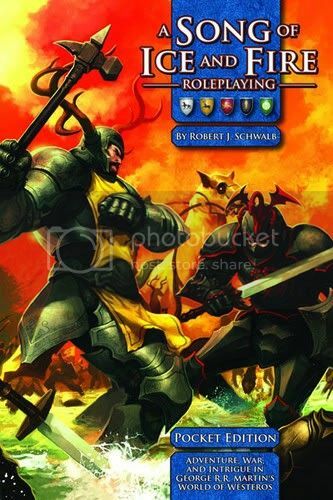 Role-playing game books can be expensive. Many hard-cover books with over 200 pages can cost almost $50.00. Certain out-of-print books can cost over $200.00, while other “gently used” copies can be had for $25.00. 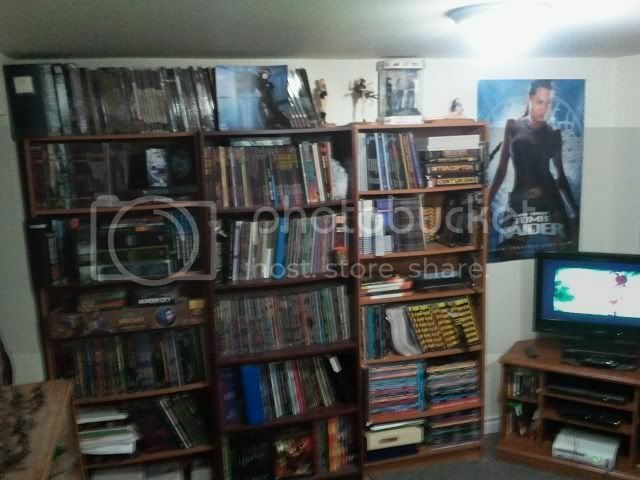 As a result, most wall-o-books that contain just RPGs are in the hands of individuals. 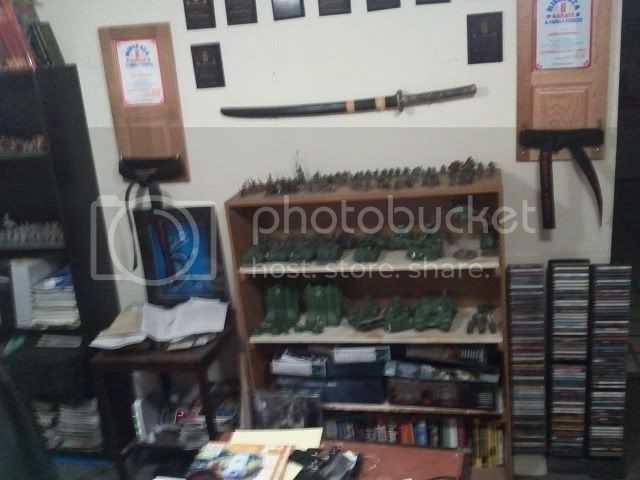 But, like I mentioned in a previous post, not everyone is able to Therefore, if a public library is to create a collection of RPG books for their patrons, they should carefully consider what books to collect by determining which books would get the most use, and which books would fit into their collections. I'd like to present two ideas for choosing RPG books: genre and market share (or popularity). In this post, I will focus on genre. As librarians, we all know about genre fiction. For better or for worse, genre fiction has infused the book world and has brought us some works that are mediocre, some that are good, and some that are absolutely amazing, and some that have caught the public's attention. Genre uses the same types of short-hand in role-playing games that it does in fiction. Conventions are used. So, you would be unlikely to find a space ship in a western game, or magic in a post-apocalyptic science-fiction game. (There are, of course, exceptions – the Serenity/Firefly RPG is a western with space ships, and RIFTS is a post-apocalyptic game with magic.) The players roughly know what to expect in a game of a particular genre. So, look at your statistics. See what fiction books are circulating and use that to find different games that fit the genre. Fantasy-based role-playing games seem to be the most popular genre, followed by science fiction and horror games. Does your circulation of novels follow the same pattern? You could even look at specific series within a genre and see if they have an equivalent RPG. Do your Doctor Who DVDs disappear from the shelves as fast as they come in? Than maybe the Doctor Who RPG has a place in your collection. Do you have an extensive collection of superhero comics? Maybe Mutants and Masterminds could be included, or the latest version of the DC Adventures RPG, which uses the third edition rules of Mutants and Masterminds. 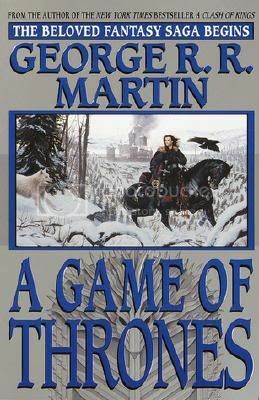 Is political fiction flying off of the shelf, like George R. R. Martin's A Game Of Thrones? Than the RPG version of his story, A Song of Ice and Fire, may be perfect. If fantasy novels circulate like hotcakes - especially those by Margaret Weis and Tracy Hickman – pick up a version of Dungeons and Dragons. Of course, there are also generic RPG systems that are not dependant on genres. GURPS (Generic Universal Role Play System) and Big Eyes Small Mouth (BESM) are two such systems. Generic RPG systems allow the players to use the same system for a variety of settings. Unfortunately, you can have many different games in a single genre, and not have have the desire or budget to get all of them. Furthermore, since the collection is for the patrons, it may be best to give the patrons what they want – or at least what they have heard of. In my next post, I'll write about the more popular games and publishers. Jason C from Belleville (2011). 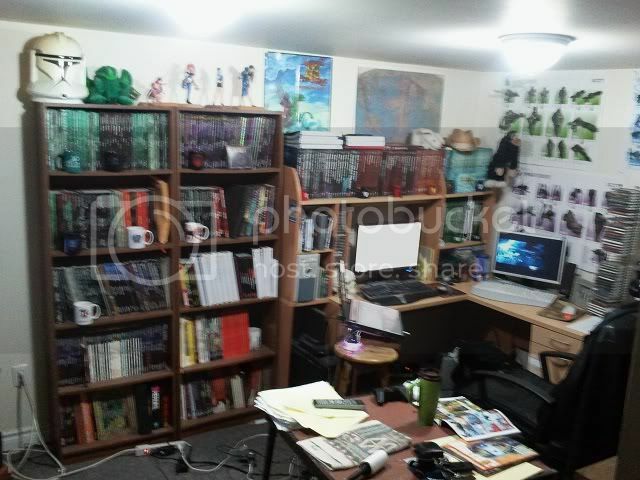 Pictures of the Room of RPG Books. Taken on April 15, 2011. Why should libraries care about RPGs?